Narrow front hub for folding bikes, only 74mm wide between the outer lock nuts. 9mm diameter axle (Will not fit Brompton without adjustment). Can you specify hub dimensions for a wheel build? Would like to know center-flange distance and flange spoke circle diameter in order to calculate spoke length. and looking for something cheaper than the offering I see. Could you help? 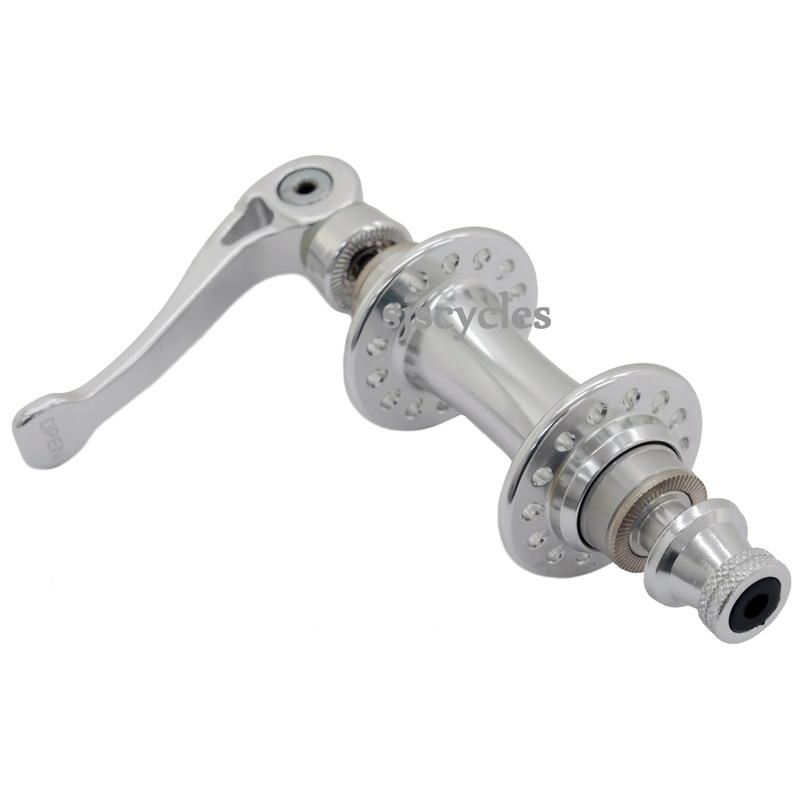 Unfortunately the cheapest 28H 100mm hub we have is SJS Cycles part number : 43437H28 at £49.99. Can I use it with my 16 inches folding bike of Citizen make folding bicycle ? Hub length 45 mm, hub flange dia is 44 mm, Axle dia is 9 mm and the axle length is 120 mm. Hub shell dia is 15 mm. Will it match with the fitted in the cycle ? The measurements of this hub are approximately the same so it should fit without an issue.